Thanks to the ongoing trad goth revival, winklepickers are big news right now. Hugely popular among alternative vloggers, these smart and stylish shoes can be dressed up or down making them the perfect footwear to take you from the office, or college, to the nearest nightclub. Winklepickers were originally worn by rock n rollers in the 1950s and adopted by punks, goths, and rockabillies in the 70s and 80s, but their origins date back to 14th century Poland. That is when the very first poulines, or pikes, were created. These slip-on shoes had extremely pointy toes that were often stuffed with moss to hold their shape. Fortunately modern-day pikes, a pointier flatter version of the 1950s winklepicker, have moved into the 21st century thanks to the Gothic Shoe Company. 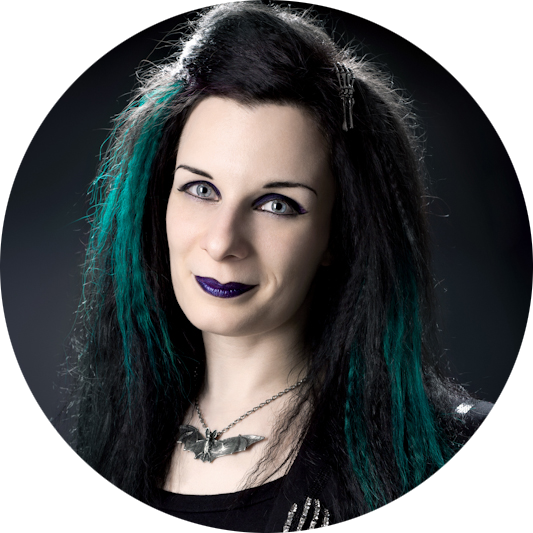 This family-run business has been creating retro footwear for more than twenty years, and the gothic pikes are among their best-selling designs. Each pair of ankle boots is made from scratch and adapted from original, vintage patterns, which means you get an authentic look with maximum comfort and no surprises lurking in the toes. Gothic Shoe Company can even make bespoke boots in different colors, or from a material of your choice for footwear that is completely unique. Our Item of the Week, these stunning Pentagram Buckle Boots are part of the Gothic Shoe Company’s expanded Original Pikes Collection, which also includes lace-up and brogue style designs. They are handmade in England, goth’s original birthplace, from black suede or leather with vegan and high gloss options available on request. Zip-up in style, they can be ordered with silver pentagram or bat buckles, perfect for adding witchy flare to your outfit. Or you can have them made with plain buckles for a more versatile look. 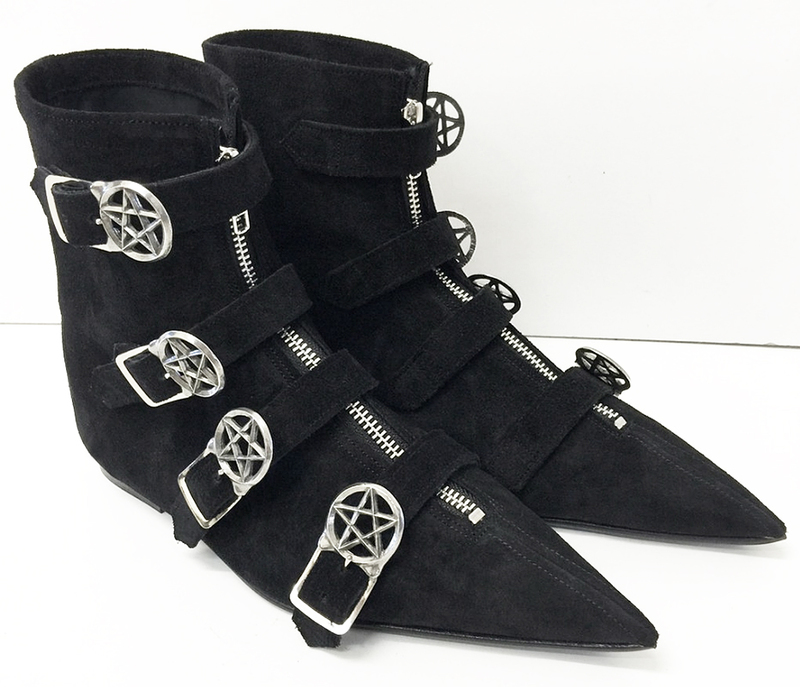 The Pentagram Buckle Boots are available through The Gothic Shoe Company’s webstore.